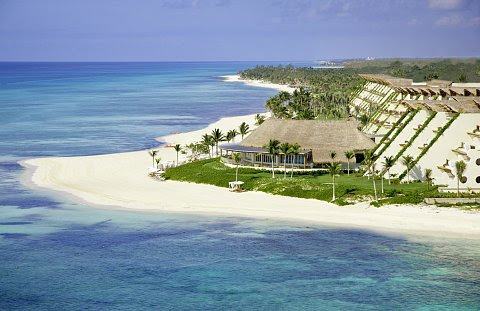 Mexico's AAA Five Diamond Grand Velas Riviera Maya adds a new champagne and caviar bar to the ultimate list of pampering in-suite amenities for guests checking-in to one of its five Presidential Suites, which also includes a daily massage and private full-service staff to exclusively attend to guests' needs. 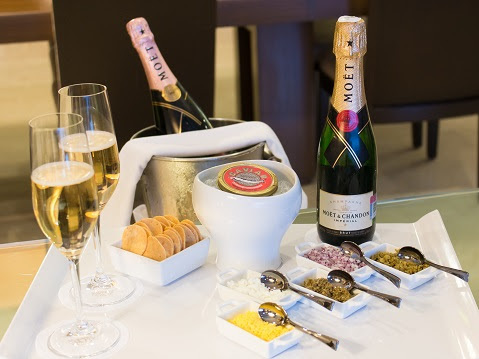 Served on arrival, the complimentary amenity includes a bottle of Moët & Chandon Brut Imperial, Malossol Royal Caspian Russian Beluga 000 Caviar, and a gourmet spread of toppings such as sour cream, onions, capers, and boiled eggs to serve atop mini corn tostadas - the Mexican twist. Among the other standout Presidential Suite features are one 50-minute massage per person per day in the Suite's own massage area; personal concierge, maid and pool butler service; enormous bathrooms with one and even two separate showers and Jacuzzi tubs; VIP transportation to and from the airport, and more. Designed for drama, the resort's Presidential Suites - each a minimum of 2400 square feet excluding spacious private terraces - are furnished in contemporary classic décor, with special attention to rich fabrics, textiles and art: here, hand-painted abstract frescoes, multi-colored marble inlays, and warm mahogany paneling… there, hand-loomed textiles inspired by nature motifs, sculptures and bibelots from all over the globe for the finishing touch. The soaring double-height ceilings, and windows framing ocean and jungle vistas all create a peaceful, serene sense of luxury rooted in nature. 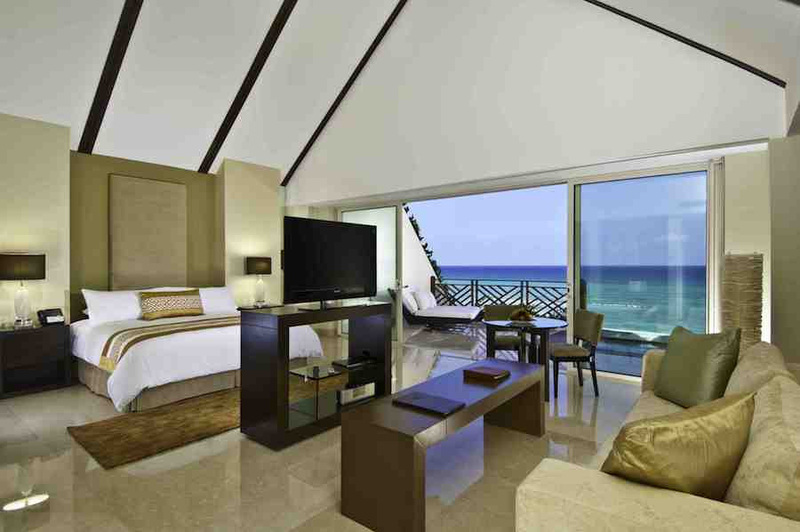 Grand Velas Resort's all-inclusive rate includes luxury suite accommodations, a la carte gourmet meals at a variety of specialty restaurants, premium branded beverages, 24-hour in-suite service, fitness center, nightly entertainment and more. For reservations or more information on Grand Velas Riviera Maya, call 1-888-407-4869 or visit http://rivieramaya.grandvelas.com/.